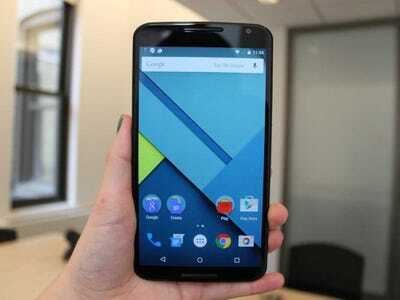 AT&T will begin offering preorders for Google’s Nexus 6 starting Wednesday, the carrier announced on Tuesday. There are three different options you can choose if you decide to buy the phone through AT&T. You can either pay $US22.77, $US28.46, or $US34.15 per month depending on which of AT&T’s Next plans you choose. This means you’ll be able to upgrade your phone earlier than you normally would on a two-year contract. Or, you can purchase the Nexus 6 for $US250 on a standard two-year contract, or for $US682.99 contract-free. Google is also offering pre-sales for the unlocked Nexus 6 through its website for $US650 (32GB) or $US700 (64GB). Verizon and Sprint have yet to make any announcements regarding pricing and preorders, but US Cellular said the 32GB model will sell for $US199 on a two-year contract while the 64GB version will cost $US250. If you opt for their instalment plan, you can pay either $US27.50 per month or $US30.42 each month depending on which model you choose.